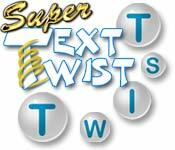 Play Super Text Twist game now! Seven letters, make all the words you can! 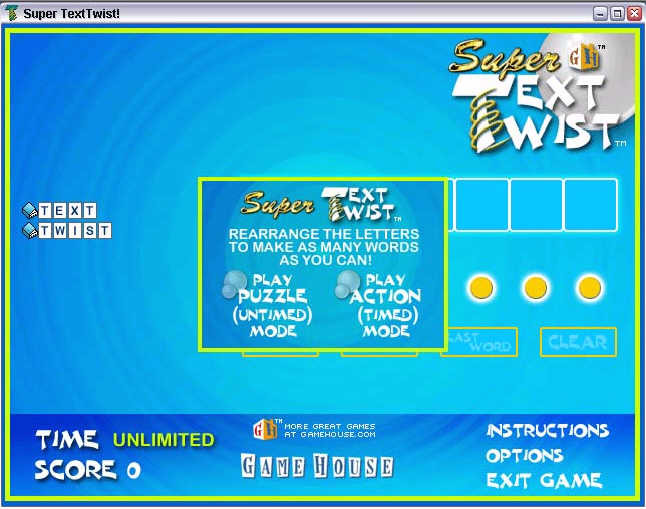 Super Text Twist is a new version Text Twist Game for you ! How many words do you know? Try Super Text Twist Game Now ! 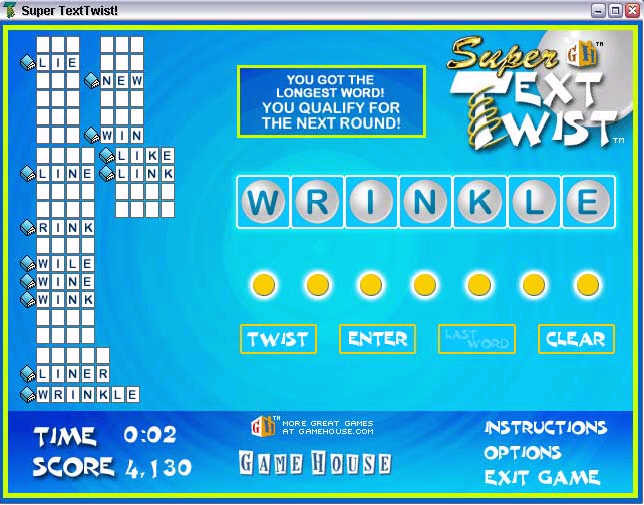 In Super Text Twist you'll have to think of as many words as you can with the letters you have and still beat the clock. Use all your letters to make a word and you'll move on to the next round. If you get stuck, just hit the Twist button for a hint. Don't worry; we've already thought of all the words, you just have to tell us what they are. Mad Caps Game - From the crazy geniuses that brought you Chainz comes Mad Caps, a puzzle Mad Caps game gone MAD! Chainz Game - Un-Chain your brain with CHAINZ game! Rotate colorful links to create valuable chains in this challenging puzzle game! Enigmo Game - A 3D puzzle game where you move various streams of flowing liquid so that the droplets get to their destination! Pharaohs' Treasure - A fast and addictive puzzle game.